Try this experiment: Toss a paper towel roll down a long hallway in a museum gallery. Step back. Watch as a school group passes through the hallway. 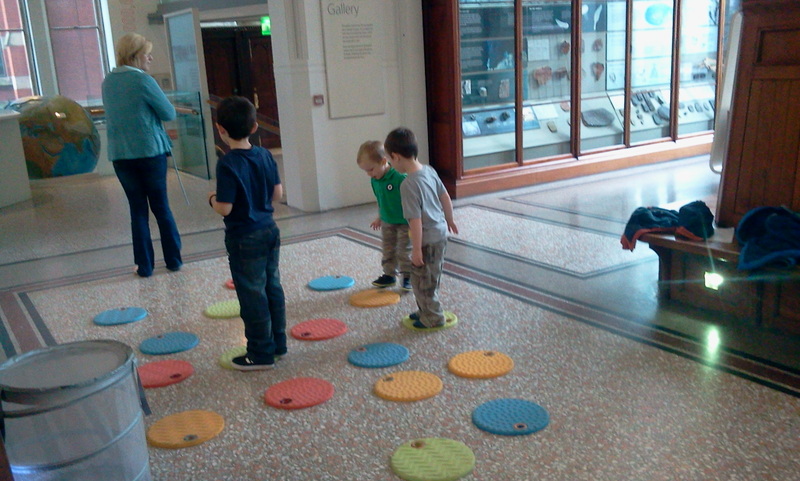 At the Manchester Museum, you would see children walking the unfurled roll as if it were a tightrope. When the perforations began to break, the towels became skates. Kids glided across the floor. Play changed an otherwise staid space into a gallery of action. This was all part of Stuart Lester’s Playful Museum experiment, a sub-project of the Happy Museum Project. The Happy Museum Project “looks at how the UK museum sector can respond to the challenges presented by the need for creating a more sustainable future.” In other words, the project proposes that museums can promote thinking around happiness and wellbeing. You can read the project manifesto here. Think about it for a minute, and you’ll realize how revolutionary this is. The Happy Museum Project proposes that we start with user happiness first. Yes, first. Not before we choose the objects we want people to see; not before we examine the Common Core and what we and schools want children to learn; and not before we worry about our reputations as the keepers of culture and privilege. FIRST. This is the basic element of user-centered design, and I’ve seen amazing things follow from this; if we start with the things that make people feel more happy to be alive, then we’ll probably get to other stuff that museums want to do. Or the beneficiary writes the story directly. This storytelling/collection often happens in the Development departments of museums (with direct application in annual reports), but less rarely in program planning and evaluation. In grant reporting, anecdotes and other qualitative data can play second fiddle to the outcomes and quantitative data. The process of user-centered design (notably, at IDEO and Stanford’s d.school) is gaining hold in commercial companies, and Nina Simon has gone far in raising the profile of the storytelling/participatory experience in museums, but we still have far to go. Again, this is the core: look at happiness and wellbeing first, then content. How much do museums have to loosen up to get to this starting point? How long will it take?